I’m a fan of “cookbook” style books as it gives you a chance to see how folks solve problems in a particular language. A typical “intro” book will teach you the syntax, but normally doesn’t provide a lot of real world examples. Cookbooks present an opportunity to demonstrate how problems can be solved and don’t waste time on explaining syntax or other things that you assume the reader already knows. That’s why I was pretty excited to be given a preview copy of “Web Development Recipes”, an excellent collection of cookbook style articles covering an amazing range of topics. Written by Brian P. Hogan, Chris Warren, Mike Weber, Chris Johnson, and Aaron Godin, this Progamatic Bookshelf offering is currently available in beta form as a PDF for 22 or PDF+physical book (once released) for 44. User Interface Recipes: Still design, but at a higher level. 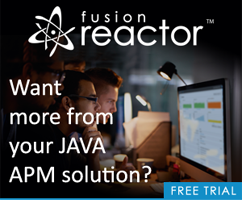 Two particularly good recipes were one on HTML-email testing and state-aware AJAX. Data Recipes: Probably the least useful section for me in particular as this is the area I live and breathe in, but I still found things here that were new to me. Mobile Recipes: Mobile is big. Really big. Workflow Recipes: Interesting, but not what I expected. Would have liked to have seen something about ANT or Jenkins here. Testing Recipes: Damn good collection of client-side testing resources. Hosting and Deployment Recipes: Pretty good section, especially the one on setting up https for Apache. That's a topic I've always struggled with. </ul> I really enjoyed the heck out of this. I'm really wishing I could attend a conference that had as broad a reach as this. I've spent so many years buried in ColdFusion code in the server that the front end feels new and exciting to me again. 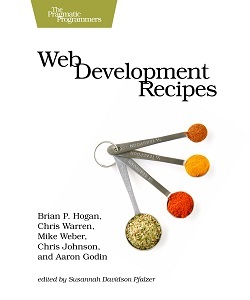 "Web Development Recipes" not only introduced me to new stuff but got me even more excited about development.